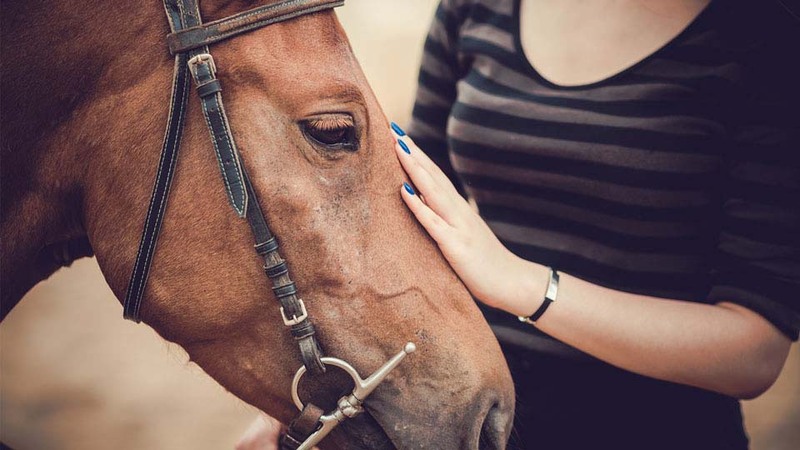 Our guide on starting an equine therapy business covers all the essential information to help you decide if this business is a good match for you. Learn about the day-to-day activities of an equine therapy business owner, the typical target market, growth potential, startup costs, legal considerations, and more! An equine therapy camp will have campers work with horses as a way of overcoming their physical, mental, or emotional disabilities. They're primarily made for children, but there are ways to open the camp up to adults as well. Business owners should ideally be compassionate people who want to help kids become their best selves. They should have a thorough understanding of how different types of kids interact with horses and which activities will best promote that connection. What happens during a typical day at an equine therapy business? The target market depends on the type(s) of therapy you want to provide. Some camps choose to work with certain types of disabled children, such as those with Down syndrome or those with cerebral palsy. Or they may work with campers with a variety of disabilities as a means of promoting tolerance and inclusion. But another major market is children with emotional troubles. Some camps will work with troubled teenage girls only, or boys who have recently been released from a detention center. Camps may set up different sections of the grounds in order to work with a variety of kids. Advertising should be geared to both children and parents of course, but it’s primarily the parents or adult caretakers in a child's life who need to be convinced that the camp is worth it. How does an equine therapy business make money? Equine therapy camps charge a set rate for each camper to cover the costs of the program. If the camp is for-profit, then they'll usually set a profit margin onto their fees in order to have additional funds invested in the enterprise. What is the growth potential for an equine therapy business? There may be a need for something like this in your area, even if it doesn’t seem that way at first. 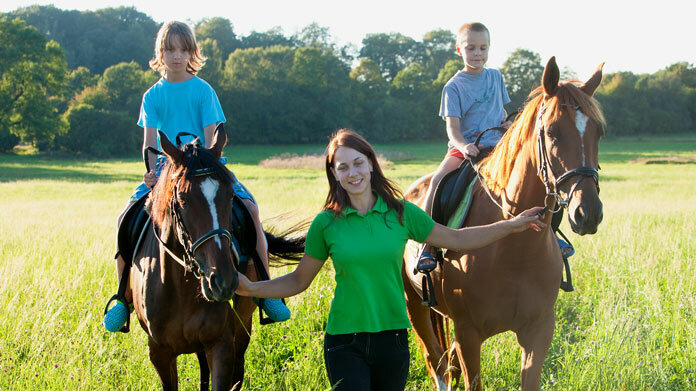 These programs can be life-saving in a number of ways, which means that insurance companies and authorities alike are onboard with the work equine therapy business do. City officials or community organizations may even fund these types of alternative therapies as a means of curbing juvenile delinquency. What are some skills and experiences that will help you build a successful equine therapy business? You should have some experience working or volunteering in a camp like this. Jumping in without any type of formal training can make it that much harder to get the camp off the ground. You should also have some type of certification for working with horses either from the Professional Association of Therapeutic Horsemanship International or from a similar organization. What are the costs involved in opening an equine therapy business? Costs to open can be substantial, especially if opening anywhere near a major city. Owners will need to purchase or lease the land, pay for staff, and board the horses. They’ll also need to factor in administrative and marketing costs. What are the steps to start an equine therapy business? Form a legal entity. Establishing a legal business entity prevents you from being personally liable if your equine therapy business is sued. Open a business bank account. A dedicated checking account for your equine therapy business keeps your finances organized and makes your business appear more professional to your customers. What are some insider tips for jump starting an equine therapy business? The first thing an owner needs to address is the liability they’re taking on. Working with kids and horses creates an infinite amount of unknowns that can be difficult for staff to handle day-in and day-out. Even the most well-trained and gentle of horses is not immune to getting spooked, which can cause damage to the property or even to the people in the camp. Having a good staff (not to mention good insurance) can go a long way to safeguarding against dangerous events. If you’re willing to make your organization a non-profit, you may be able to get a government grant in order to start your business. This will not only cut down on your start-up costs, but it can also give you instant legitimacy in the eyes of your clientele. Ensure you have a passionate and experienced writer who can draw up a proposal that will catch the eye of the decision-maker. You should also look into how to take different types of medical insurance. Some companies will cover camps as a necessary cost of treatment. Promoting a therapy camp is usually wrapped up in telling touching stories about the type of work you do. When you’re just getting started, focus on how the activities challenge a child to problem-solve and how this works to increase their confidence and cooperative skills. Television is usually the best way to market because people can perceive strong messages from full ads. The additional exposure gives them a good impression of how the camp works. However, paid or organic internet advertising can also be a good way to attract new clients. Owners can also consider showcasing testimonials on the radio as well. Customers want to see a solid change in the child who attends the camp, such as a new-found enthusiasm or compassion for animals, a calmer demeanor, or improved confidence. They want kids to have fun of course, but these camps are viewed as having a higher purpose than just making kids happy. Owners should build a professional and experienced team immediately. You need to hire people who are comfortable working under intense pressure and who want to see the kids learn and grow throughout their time there. If you skimp on the quality of your employees, you increase the odds of liability lawsuits. Certain state permits and licenses may be needed to operate an equine therapy business. Learn more about licensing requirements in your state by visiting SBA’s reference to state licenses and permits. An equine therapy business is generally run out of a large piece of land. Businesses operating out of a physical location typically require a Certificate of Occupancy (CO). A CO confirms that all building codes, zoning laws and government regulations have been met. Before leasing, confirm that your landlord has or can obtain a valid CO that is applicable to an equine therapy business. Review all building codes and zoning requirements for your business’ location to ensure your equine therapy business will be in compliance and able to obtain a CO.
Because the upkeep expenses are substantial, even non-profit centers can charge up to $100 for a 50-minute session or several thousand dollars for a two-week experience. Most camps will offer varying programs for different budget levels. For example, they may offer group sessions at a reduced rate or a weekend experience rather than a full week at the camp. What are the ongoing expenses for an equine therapy business? Equine therapy camps will need to maintain their grounds, care for the horses (including medical), and keep up website and marketing materials. You’ll need to pay staff salaries and potentially attend ongoing educational opportunities to learn more about advancements in your industry. How much profit can an equine therapy business make? Non-profit camps obviously need to set their rates so they can cover the cost of operations, but a for-profit center can do very well if it can attract the right clientele. A week-long session with 30 campers for $2,000 will net $60,000 alone. If the cost of operations is 75% that of the admission fee, the camp would make about $800,000 in profit a year if they run programs all-year round. Owners can consider branching out their services to include adults. They can even set up activities where employees come together for team-building days. Owners can modify the children’s activities to fit adult needs so that people can problem-solve and learn more about each other outside of the office.